While Chuck Liddell is unsure of his future, the UFC Hall of Famer may have his hand forced following an indefinite suspension by the California State Athletic Commission. 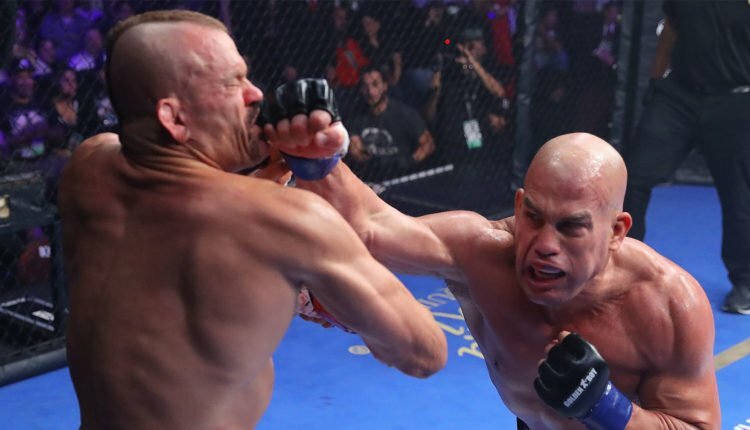 Liddell would be suspended for a minimum of 45 days following his knockout loss to Tito Ortiz on Saturday at the first ever Golden Boy MMA event. If Liddell hopes to return to action in North America, he’d have to apply for the suspension to be lifted by CSAC officials. Ortiz would also suffer a suspension, garnering 18- days due to a potential fracture to both his left knee and shoulder, but it should not be an issue due to announcing his retirement following his win first round dropping of Liddell. A complete list of Liddell vs. Ortiz 3’s medical suspensions can be seen below.